Not a review of the Reunion per se, but of the music that made the party. I pulled into the hotel after a ride through heavy traffic. How many times do you get to step into an event twenty years after you’ve essentially disappeared from the lives of a bunch of people with whom you came of age? 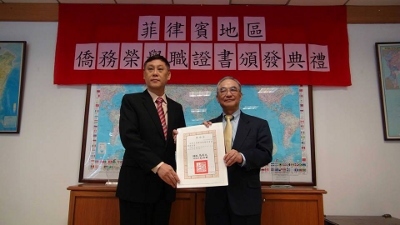 Grace Christian College Alumni Nelson Ong of Batch 83 has been appointed by President Ma Ying Jeou of Taiwan as Commissioner of Overseas Community Affairs Council (OCAC). Tournament will start on January 20, 2013. Games will be played every Tuesdays, Fridays and Sundays. The venue for this league will be at SGS Stadium, Araneta Avenue. Grace Christian College recently held its 2nd Invitational Golf Cup for the benefit of former teachers of the school. 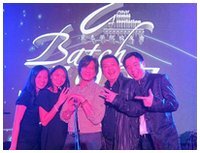 The event was held at the Wack Wack Golf and Country Club last October 23, 2012. More pictures of the event on Facebook and also of the awarding ceremonies. Defending champion Koba Shutters subdued Byzmo, 81-69, and Autokid Manila defeated Carbery Group 78-73 in the semi-finals match up of the 7th Grace Alumni Basketball League (GABL) at SGS Stadium, along G. Araneta Ave, Quezon City. Defending champion Koba Shutters aims for back-to-back title but Byzmo wants to spoil the party in the 7th Grace Alumni Basketball League (GABL) Fellowship Division – World Balance Cup at SGS Stadium in G. Araneta Ave., Quezon City. Defending champion Koba Shutters used an explosive first quarter run and held on to a 68-61 win over MK Enterprise in the 7th Grace Alumni Basketball League (GABL) Fellowship Division – World Balance Cup at SGS Stadium in Quezon City. JV Ong and Vincent Dy combined for 13 points to mount a 22-9 insurmountable lead at the end of first quarter. Hosted and Developed by Wave Technologies, Inc.